Every process that goes on inside our bodies requires energy – specifically, metabolic energy. When the body does not have enough energy to function properly, each component of the body will malfunction in its own unique way. The body needs energy to keep itself warm – a low body temperature, therefore, usually accompanies low metabolic energy. “Much emphasis in conventional medicine is often placed upon feverish conditions; however, a low body temperature can be a much more sinister condition. Where a fever can be viewed as an active developmental and corrective process of the healthy body, then a low body temperature can never be viewed as a normal or healthy condition, nor is it a mechanism for a learning or developmental process in the body. fever is generated and infections go undetected. 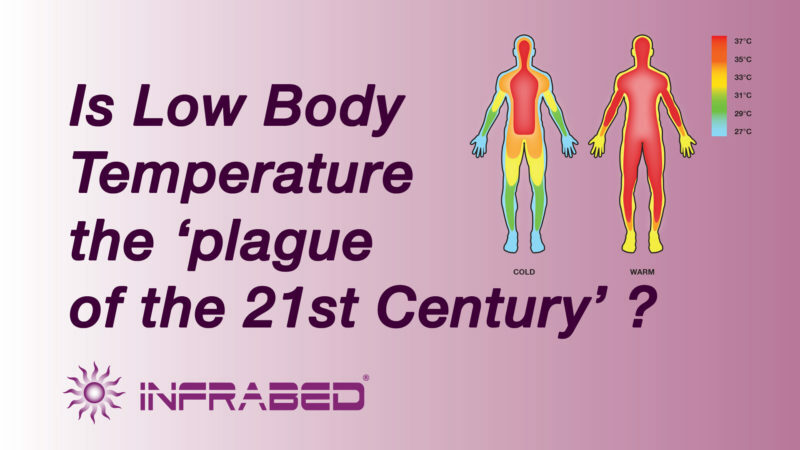 “Low body temperature is the plague of the 21st century. People with low body temperature have a weak reaction to even the most ideal medicines and therapies” says Dr Jernigan. “Chronic Fatigue Syndrome, and low body temperatures, are symptoms of mitochondrial failure. 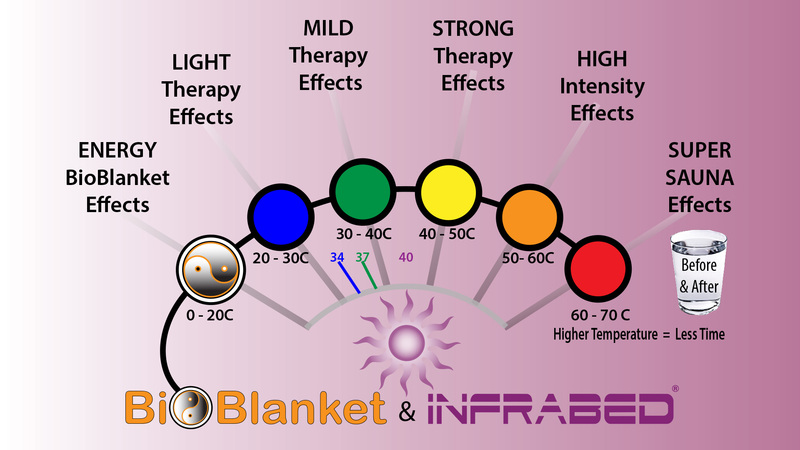 As the body’s core temperature decreases cellular energy also decreases thereby leading to profound and chronic fatigue that is not relieved by sleep. The normal functions of maintenance, repair and cleansing are slowed and problems develop when body temperatures drop below normal. 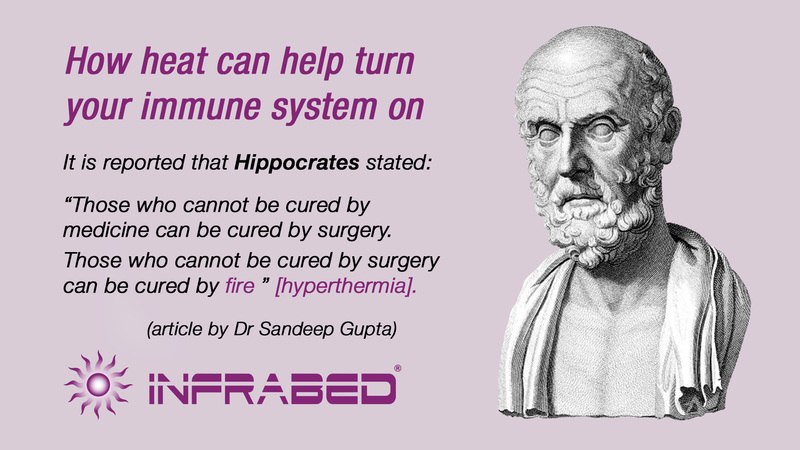 When temperature is low, the body cannot maintain its homeostasis / balance in the way it was designed. Actions of enzymes, vitamins, minerals, essential body chemicals become “depressed”. “The laws of thermo-dynamics state that if we decrease energy we decrease temperature. The process of energy production leads to heat. It is this heat that keeps the body warm. When resting, body processes produce enough heat to keep the body at its set temperature. This process of heat generation occurs due to metabolism. It is here the relationship between low body temperature and thyroid comes into the picture for example. Other factors include being unwell, and getting older. Q: InfraBed in Summer? A: Yes & with BioBlanket better! 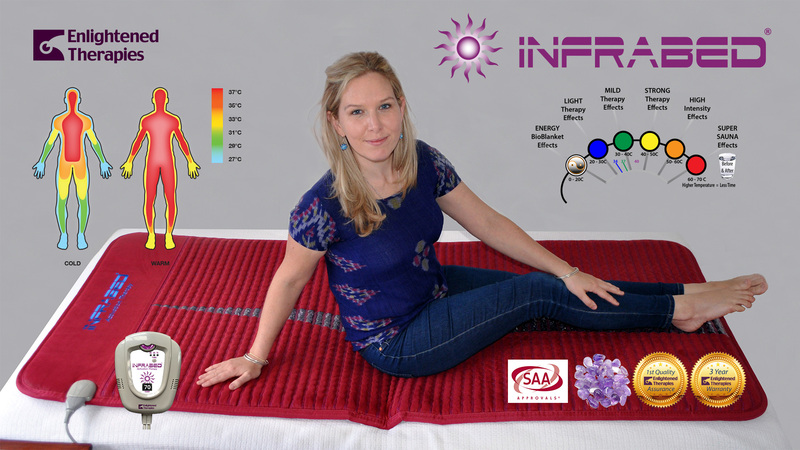 Paul and Colleen Keetley since 2000 are the directors of Enlightened Therapies Pty Ltd, who are the Manufacturers of the ENAR® Therapy System and the new InfraBed® Radiant Therapy and the BioBlanket® Reflection Therapy. Enlightened Therapies have developed and deliver unique Certificate live training programs and training resources.